Articles for June 2016 Year » TopFreeSoft.Net - Best Freeware Software! Argente Utilities - excellent program for optimization and acceleration of work of computer. Through her you will be able to optimize, manage, change, repair, delete and protect your system from all types of errors, failures and Malwares. Hold the computer in a permanent cleanness and with an excellent capacity, the program is simple in the use and all does for a few steps. 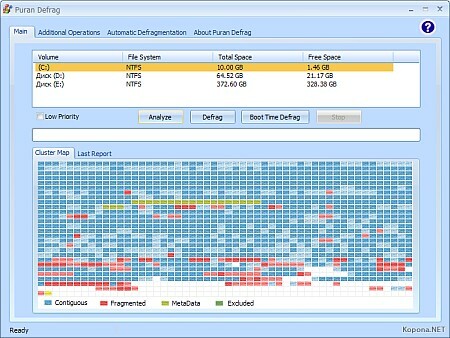 Uses a detection algorithm for high performance to quickly identify missing and invalid references in your Windows registry. With Argente - Registry Cleaner you can safely clean and repair problems in the Windows registry with just a few clicks of the mouse. Problems with the Windows Registry are one of the common causes of failures of the system and error messages from Windows. By using a registry cleaner regularly and repair your registry, your system will not only be more stable but it will also help Windows and its software to run more quickly.